For the past several years Stanford University has been working on rolling out plans for a new campus-wide energy system. The new system, called the Stanford Energy System Innovations (SESI), is expected to come online in 2016. Functionally, the system will rely heavily on solar power. Stanford University has teamed up with SunPower, a California-based solar panel design company, to produce their new solar power station. Together they plan to build a 68-megawatt solar station composed of over 150,000 SunPower solar panels covering nearly 300 acres. They also plan to install an additional 5-megawatt rooftop solar system along with the larger station. Together they are expected to provide for up to 53% of Stanford’s total energy use (Henry). The other aspect of the project is the installation of an innovative heat recovery system. The system will work by capturing heat released through the cooling system and redistributing it through an advanced pump system. The new system will be able to recover nearly two-thirds of the heat discharged through the current system and will provide for 90% of Stanford’s campus heating demands. The new system will require the retrofitting of 155 buildings and the replacement of over 20 miles of underground piping (Henry). None the less, the heat recovery system will act as an effective means of reducing long-term energy usage. According to Joseph Stagner of the Sustainability and Energy Management Department at Stanford, “After analyzing the energy patterns of the campus, we devised this scheme which would allow us to collect all the waste heat and use it to heat the campus, and that turned out to be a lot more efficient, a lot more economical and it reduced greenhouse gases and water use, and so that’s why the campus selected this option.” Overall, the new SESI project is expected to save Stanford $420 million in energy costs over the next 35 years. Henry, Karen. “New Energy System Will Save Stanford $420M.” Energy Manager Today. N.p., 20 Apr. 2015. Web. Lapin, Lisa, and Kate Chelsey. “A New Campus Energy System Cuts Stanford’s Greenhouse Gas Emissions by 68 Percent.” Stanford News. Vanech, Tristan. 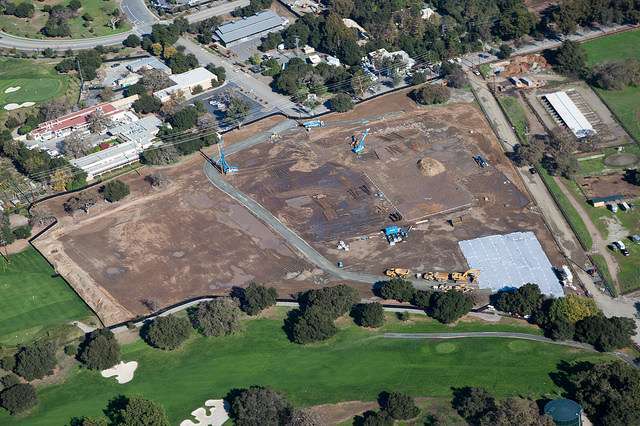 “Stanford Energy Systems Innovations Project Started.” The Stanford Daily. N.p., 19 Apr. 2015. Web. This entry was posted in Energy Efficiency and tagged SESI, Stanford by Emil Morhardt. Bookmark the permalink.